In a Multiple Scanning discretization technique the entire attribute set is scanned many times. During every scan, the best cutpoint is selected for all attributes. 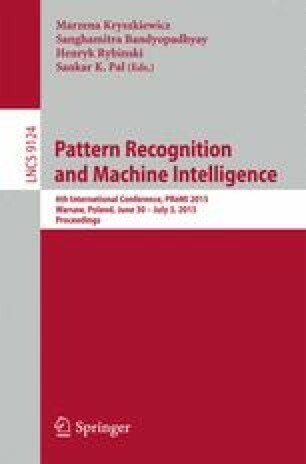 The main objective of this paper is to compare the quality of two setups: the Multiple Scanning discretization technique combined with the C4.5 classification system and the internal discretization technique of C4.5. Our results show that the Multiple Scanning discretization technique is significantly better than the internal discretization used in C4.5 in terms of an error rate computed by ten-fold cross validation (two-tailed test, 5 % level of significance). Additionally, the Multiple Scanning discretization technique is significantly better than a variant of discretization based on conditional entropy introduced by Fayyad and Irani called Dominant Attribute. At the same time, decision trees generated from data discretized by Multiple Scanning are significantly simpler from decision trees generated directly by C4.5 from the same data sets.